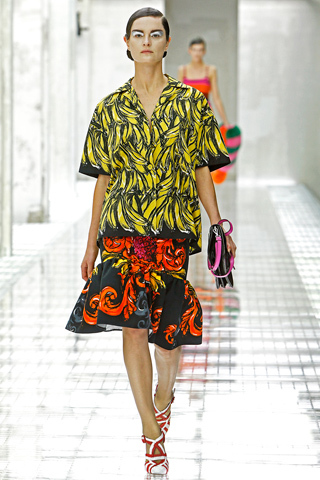 Bananas inspired several prints in the Prada Spring/Summer 2011 Show. Another collection with bananas : Chloé by Phoebe Philo Spring/Summer 2004. “Black Swan“, by Darren Aronofsky, is one of the inspirations of the Jean Paul Gaultier Couture Autumn/Winter 2011-2012 Show.